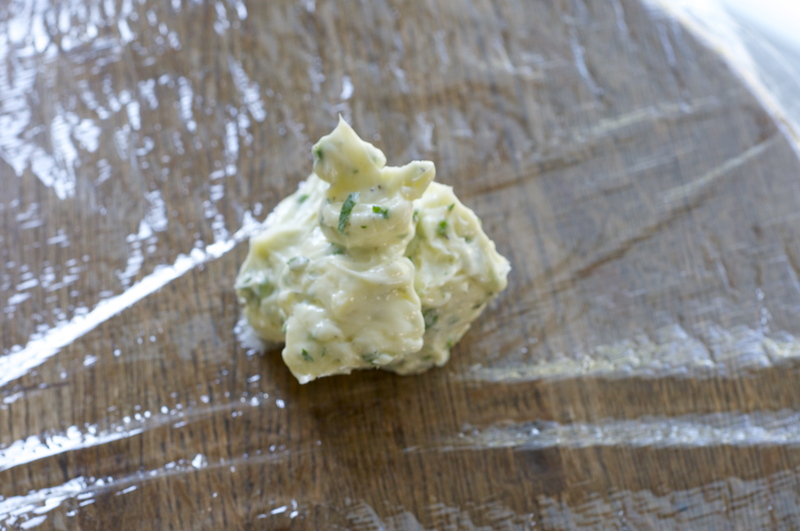 A little pat of garlic chive herb butter on top of grilled steak, chicken or fish adds a big burst of flavor. First, cook the steak on the grill until it is done. 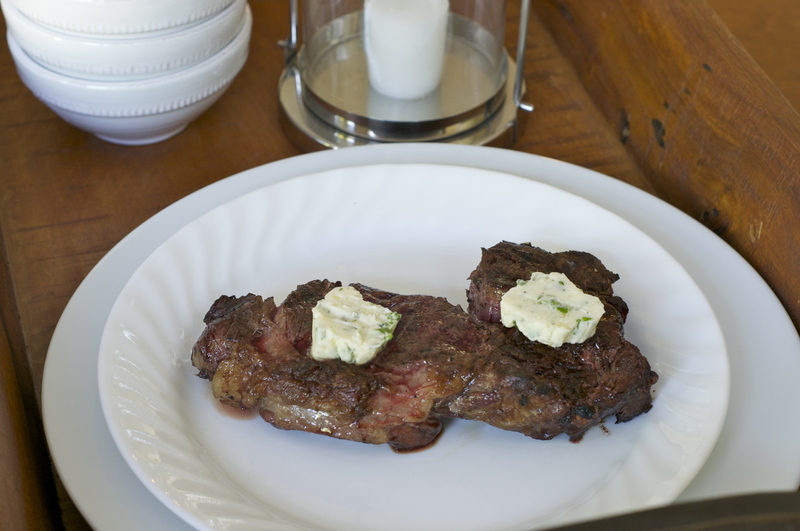 Take the steak off the grill and put a pat of herb butter on top of the steak. While the hot steak rests off the grill, the herb butter melts into the meat and blends in with the natural meat juices creating something absolutely wonderful. It’s an easy little trick that doesn’t take long but makes you look like a pro. 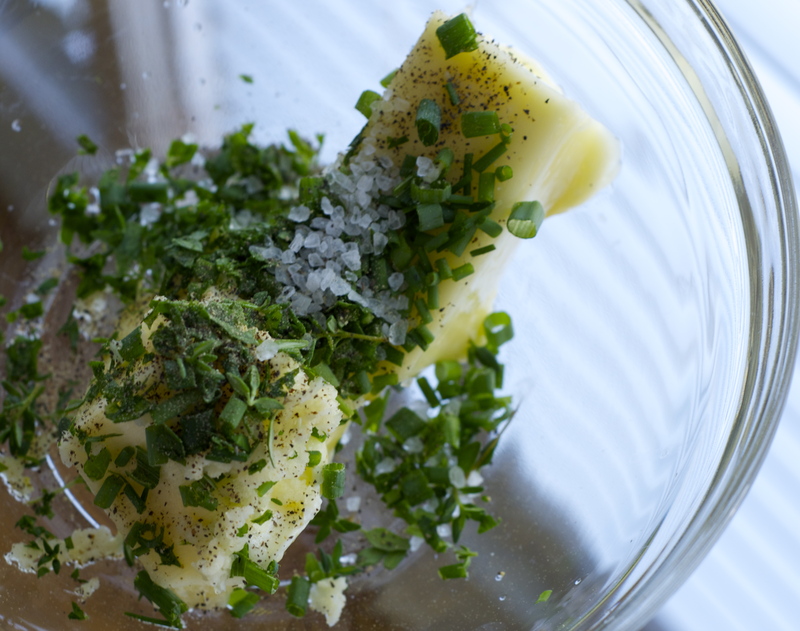 The specks of green chives and herbs in the butter look so fresh on the steak too. Take a stick of butter and let it come to room temperature. Add…..really any flavors you want. Today I put in three cloves crushed garlic, 1 tsp sea salt, pinch of pepper, about 2-3 TBSP chopped fresh chives, 2 TBSP chopped fresh Italian parsley and 1 tsp fresh oregano in the butter. Stir it all together. Put a piece of saran wrap down on the counter. Put the butter in the middle of the wrap. Fold the saran wrap over the butter and use your hands to form the butter back into a butter stick. 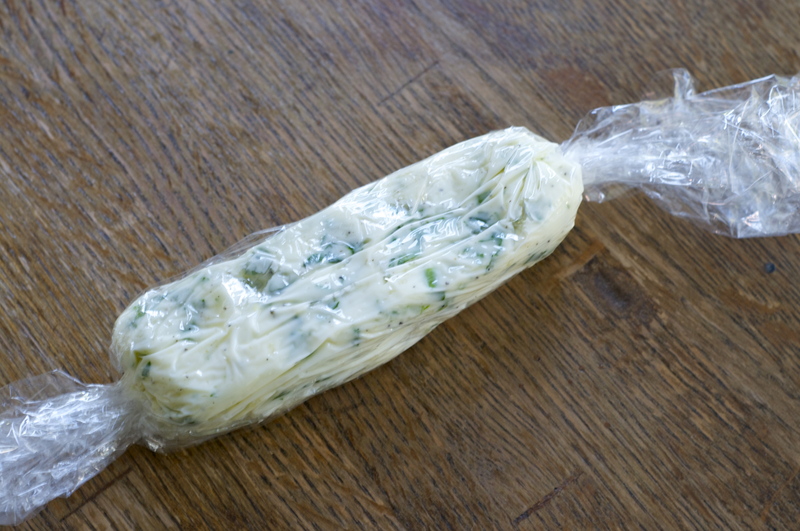 Twirl the ends of the saran wrap to seal the butter and stick it in the freezer. I usually keep a few different sticks of flavored butter in my freezer to have ready for when we grill. Just take it out of the freezer, cut off as many pats as you need, re-wrap remaining butter stick and put it back in the freezer. After I cut off the herb butter pats, I try to let the butter warm up a little bit while I cook the meat – that way it melts into the natural juices from the meat quicker. See how quick and easy that is? Enjoy! Just had it last night Jax! Impromptu dinner under pergola with Harters & Loutsis’ in lieu of the Styx concert – the line was too long so we came home!